On Saturday, May 12th the National Association of Letter Carriers (NALC) will hold America’s largest one-day food drive. This event began in 1993 with the goal of having at least one NALC branch in each of the 50 states participating, and the results were astounding. More than 11 million pounds of food was collected, making it a one-day U.S. food collection record. This year the Stamp Out Hunger Food Drive is being held on Saturday, May 12. That day food will be collected by our letter carriers from Alaska to Florida and Maine to Hawaii then distributed to local food banks and pantries. All food collected stays local, which is why the O.A.S.I.S. Food Pantry is asking for your help. 10-12 experienced O.A.S.I.S. pantry volunteers who are familiar with pantry items to lead less experienced volunteers. 1-2 volunteers at each post office receiving, unloading, and weighting items collected by letter carriers. At least 2 volunteers with pick-up trucks to shuttle items collected from post offices to the pantry. If you are available to help or know someone who is, email oasisfoodpan@aol.com or contact Mike Wraspir at 636-293-1184. 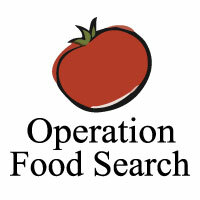 Please be a part of this one-day nationwide food collection event by volunteering at O.A.S.I.S. or placing bagged non-perishable food items next to your mailbox for pick up on Saturday, May 12th. Let’s Stamp Out Hunger in our neighborhoods. Golf is an easy game… it’s just hard to play. 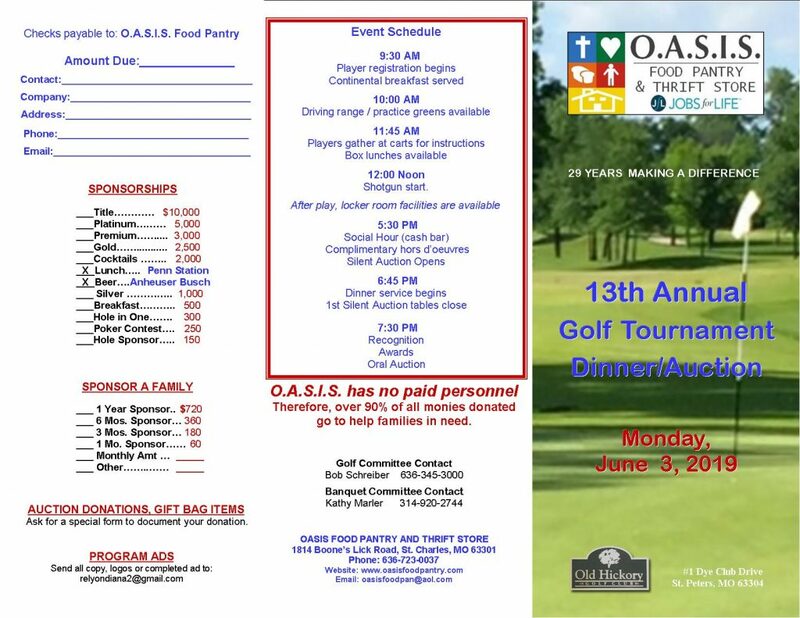 There is still time to Get in the Swing of Things by signing up for the 12th Annual OASIS Golf Tournament. The O.A.S.I.S. Golf Tournament is our principal yearly fundraiser and is planned for Monday, June 4 at Old Hickory Golf Club in St. Peters. We need your support to make this event a success. 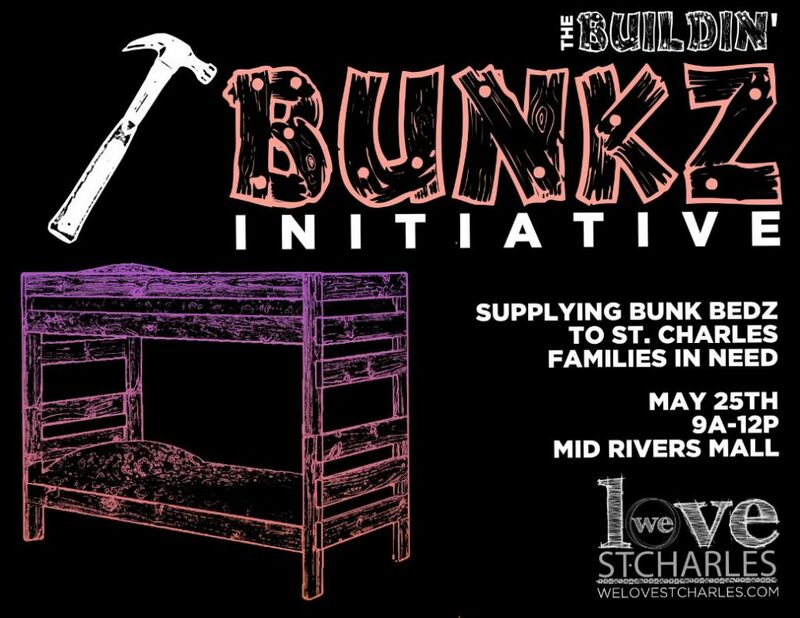 You can help by playing golf, attending the dinner, donating to the silent auction, volunteering at the event, be an event sponsor, or sponsor a family. To sign up please visit our website at www.oasisfoodpantry.com or call the pantry at 636-723-0037. Remember…Golf is like life; you strive for the green, but end up in the hole.